I first met Evangelos Simoudis when he ran IBM’s Business Intelligence Solutions Division and then as CEO of his first startup Customer Analytics. Evangelos has spent the last 15 years as a Venture Capitalist, first at Apax Partners and later at Trident Capital. During the last three years he’s worked with over 100 companies, many of which established Innovation Outposts in Silicon Valley. He’s now helping companies get the most out of their relationships with Silicon Valley. Evangelos writes extensively about the future of corporate innovation on his blog. 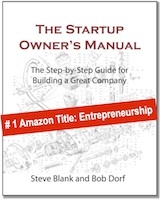 Evangelos and I are working on what we hope will become a book about the new model for corporate entrepreneurship. His insights about how large companies are using the Valley is the core of this series of four co-authored blog posts. The last 40 years have seen an explosive adoption of new technologies (social media, telecom, life sciences, etc.) and the emergence of new industries, markets and customers. Not only are the number of new technologies and entrants growing, but also increasing is the rate at which technology is disrupting existing companies. As a result, while companies are facing continuous disruption, current corporate organizational strategies and structures have failed to keep pace with the rapid pace of innovation. This burst of technology innovation and attendant disruption to corporate strategies and organizational structures is nothing new. As Carlota Perez points out, (see Figure 1) technology revolutions happen every half-century or so. According to Perez, there have been five of these technology revolutions in the last 240 years. Perez divides technology revolutions into two periods (Figure 2): The Installation Period and the Deployment Period. In the Installation Period, a great surge of technology development (Perez calls this Irruption) is followed by an explosion of investment (called the Frenzy.) This is followed by a financial crash and then the Deployment period when the technology becomes widely adopted. In between the Installation and Deployment periods lies a turning point called Institutional Adjustment when institutions (companies, society, et al) adjust to the new technologies. Historically during this Institutional Adjustment period companies have to adjust their corporate strategies to deal with these technology shifts. The change in corporate strategy forces a change in the structure of how a company is organized. In the U.S. we’ve gone through three of these structural shifts. We’re now in the middle of the fourth. Lets quickly review them and see what these past shifts can tell us about the future of corporate R&D. In the first 50 years of commerce in the then-new United States, most businesses were general merchants, buying and selling all types of products as exporters, wholesaler, importers, etc. By 1840 companies began to specialize in a single type of goods like cotton, wheat or drugs, etc. and concentrated on a single part of the supply chain – importing, distribution, wholesale, retail. This shift from general merchants to specialists was the first structural shift in American commerce. These specialist companies were still small local businesses. Ownership and management were one and the same – the owners managed, and there were no salaried middle managers or administrators. In the 1850’s and 60’s, the railroads changed all that. The railroads initially served a region of the country, but very quickly grew into nationwide companies. The last quarter of the 19th century, what Perez calls the Age of Steel and Heavy Engineering, saw the growth of America’s first national corporations in railroads, steel, telegraph, meatpacking, and industrial equipment. These growing national companies were challenged to figure out how to organize an organization of increased complexity that resulted from their large size, and geographic scale as well as their horizontal and vertical integration. For example, US Steel had integrated vertically and was involved in the mining of the iron ore all the way to the production of various steel products, e.g., nails. These new corporate strategies drove companies to build structures around functions (manufacturing, purchasing, sales, etc.) and to develop professional managers and management hierarchies to run them. Less than 50 years later, by the beginning of the 20th century, the modern form of the corporation had emerged. (For the best explanation of this see Chandler’s The Visible Hand.) This shift from small businesses to corporations organized by function was the second structural shift in American commerce. By the 1920’s, in Perez’s Age of the Automobile and Oil, companies once again faced new strategic pressures as physical distances in the United States limited the reach of day-to-day hands-on management. In addition, firms found themselves now managing diverse product lines. In response, another structural shift in corporate organization occurred. In the 1920’s companies moved from monolithic functional organizations (sales, marketing, manufacturing, purchasing, etc.) and reorganized into operating divisions (by product, territory, brand, etc. ), each with its own profit and loss responsibility. 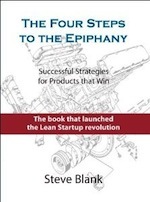 This strategy-to-structure shift from functional organizations to operating divisions was led by DuPont and popularized by General Motors and quickly followed by Standard Oil and Sears. This was the third structural shift in American commerce. The 1970’s marked the beginning of our current technology revolution: The Age of Information Technologies, Telecommunications and Biotech. This revolution is not only creating new industries but also affecting existing ones – from retail to manufacturing, and from transportation to financial services. We are now somewhere between the end of Installation and the beginning Deployment – that confusing period between the end of the Frenzy and the beginning of the Turning Point, during which time institutional adjustments are necessary. Existing companies are starting to feel the pressures of new technologies and the massive wave of new entrants fueled by the explosion of investment from a recent form of financing – venture capital. (Venture capital firms, as we know them only date back to the 1970s.) 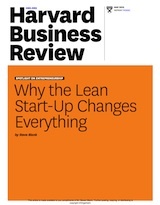 Companies facing continuous disruption need to find new corporate strategies and structures. This fourth structural shift in American commerce is the focus of this series of blog posts. In particular, we are going to focus on how each of these shifts has changed the organization and role of Corporate R&D. Each institutional adjustment also changed how companies innovated and built new products. During the Age of Steel and Heavy Engineering in the 1870’s to 1920’s, innovation occurred outside the corporation via independent inventors and small companies. Inventors such as Thomas Edison, Alexander Graham Bell and Samuel Colt come to mind. Patents, inventions and small companies were sold to larger corporations. By the 1920’s, in the Age of the Automobile and Oil, large companies sought to control the new product development process. To do so they brought innovation and invention into the company by setting up storied Corporate R&D Labs such as GE Labs, DuPont Labs, Bell Labs, IBM Research, 3M, Xerox PARC, and Kodak Labs. By the 1950’s Shumpeter observed that in-house R&D had replaced the inventor-entrepreneur. The technology cycle was in the Synergy and Maturity phase, and little innovation was happening outside of companies. It was corporate R&D labs that set the pace of innovation in each industry. As the Age of Information Technologies and Telecommunications gained momentum in the 1970’s, the Irruption phase of this new technology cycle created an onslaught of new startups funded by venture capital. Think of companies like Apple, Digital Equipment Corporation, Sun Microsystems and Genentech. The beginning of a new technology cycle didn’t come with a memo or a formal announcement. Corporate R&D and Strategy groups that had been successful for the past 70 years were finding their traditional methods no longer worked. Historically Corporate Strategy and R&D groups worked hand-in-hand to keep companies competitive. They were adept at analyzing competitors, trends, new technologies and potential disruptors to the corporation’s business. Corporate Strategy would develop plans for new products, and R&D would then create and patent the disruptive innovations. Tasked with “looking over the horizon,” Corporate R&D and Strategy organizations looked at the last technology cycle and the existing incumbents instead of seeing the new technology cycle and the new wave of startups. As a result, corporate R&D organizations have been producing sustaining innovations that protect and prolong the life of existing business models and their products and revenue streams. While this optimizes short-term Return On Net Assets and Internal Rate of Return, it destroys long-term innovation and investment in the next technology cycle. While that’s the good news for short to mid-term revenue growth, the bad news is that corporate R&D’s is investing much less on disruptive new ideas and the next technology cycle and instead focusing on the development of incremental technologies. The result is a brain-drain of researchers who want to do the next big thing. Corporate researchers are voting with their feet, leaving to join startups or to start companies themselves, further hampering corporate innovation efforts. Ironically as the general pace of innovation accelerates outside companies, internal R&D organizations no longer have the capability to disrupt or anticipate disruptions. By the 1990’s corporate innovation strategies changed to a focus on startups—investing in, partnering with or buying them. Companies built corporate venture capital and business development groups. But by 2010, this technology cycle moved into the Frenzy phase of innovation investment. Corporate R&D Labs could not keep up with the pace of external invention. Increasingly corporate venture capital involved too long of a lead-time for corporate technology investments to pay off. To adapt to the current frenetic pace of innovation, corporations have created a new organizational structure called the Innovation Outpost. They are placing these outposts at the center of the source of innovation: startup ecosystems. See Part 1: Innovation Outposts and The Evolution of Corporate R&D, Part 2: Innovation Outposts: Going to Where the Action is, Part 3 of Innovation Outposts, Six Critical Decisions Before Establishing an Innovation Outpost and Part 4 How to Set Up a Corporate Innovation Outpost that Works. Be sure to check out about the future of corporate innovation on Evangelos Simoudis blog.